This incisive book skillfully guides the woodworker through all the steps necessary in the design and construction of an efficient central dust collection system and tells you what you need to know for easy installation. The text offers practical hints and techniques and takes the mystery, misery and hype away from a subject that should be as clear as the air you breathe. 64 pages of concise, carefully illustrated text. A Must! Overall the saw out does everything I expected it to do. Passed the two nickle test. Set up was simple and I did it myself and I'm 69. The only issue I had was installing the right wing that has the router mount. If I could do it over again I would order the model with the solid surface. I'm sure now that I see how the router is mounted I'm not going to waste my time perfecting that use. The good thing as I see it the hole won't interfere with the normal operation. I was able to mount the left wing with absolute flush variation from surface to surface. When trying to achieve the same with the right wing it was a day and a half later when I determine that nothing short of milling the surface I had to settle for as near as i was able to measure about 4 thousandth variation. Which I was told is within spec. I have had it long enough to explore all its capabilities but so far so good. Of course I can tell the provided blade won't last long but I didn't buy the saw for the blade. 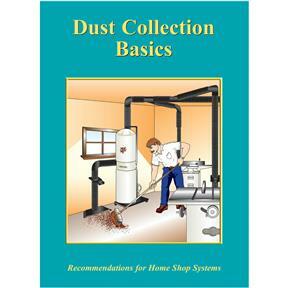 The book breaks dust collection down so it is more understandable.